Klayman: Good for Brit Hume: No One Else at Fox News Has the Guts to Call This Out! 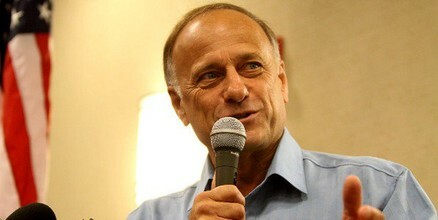 Republican Rep. Steve King's remarks on race in a New York Times story were "too close for comfort," but the paper's charge that previous statements by the Iowa congressman were "racist" is "completely bogus," said Fox News senior political analyst Brit Hume Tuesday night. Hume asserted media have "weaponized" the term "racist." "We need to be careful flinging this term around, because what has happened to this, tragically, is this great triumph of the civil rights movement making racism indefensible and intolerable has been weaponized," he said on the Fox News Channel's "The Story with Martha MacCallum," the Daily Caller reported.